The Management Team of Edwise consists of 3 Directors, Overseas Educational Advisors, Training Faculties and Administrative Staff. Mr. Assan Sukhwani, Mr. Sushil Sukhwani, Mr. Ajay Sukhwani are qualified professionals possessing rich experience in the field of overseas education. From a humble beginning in the year 1991, the directors and their team , have transformed Edwise to being the most trusted organization in the field of overseas education across India. The Directors have studied, lived & worked abroad & returned to India to help students to find the right path. The team of Overseas Educational Advisors, the backbone of the organization, consists of the people, who have vast professional experience in the field of advising students about the various study options available abroad, keeping in mind their profile & needs. The people in the team are empathetic towards the students' needs as well as they have the ability & will to fulfill commitments given to the students. The Training Faculties, one of the strong pillars of the organization, train students to achieve the desired results in various examinations like IELTS, TOEFL, GMAT, GRE, SAT, PTE. 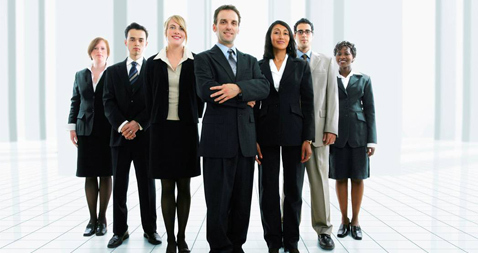 The team of Administrative Staff, an important chain responsible for the admission process of students, consists of efficient of people sharing different responsibilities like Visa Assistance, Preparing & Dispatching Application Documents on time, regular follow-ups for timely delivery and overall co-ordination.